A cramped kitchen or a bathroom with badly designed cabinets can become a daily annoyance. The heavy use of both of those rooms makes any remodeling a practical investment with tangible benefits. Choosing a remodel plan that highlights use and personal style preferences will improve your quality of life and make using a room more enjoyable. 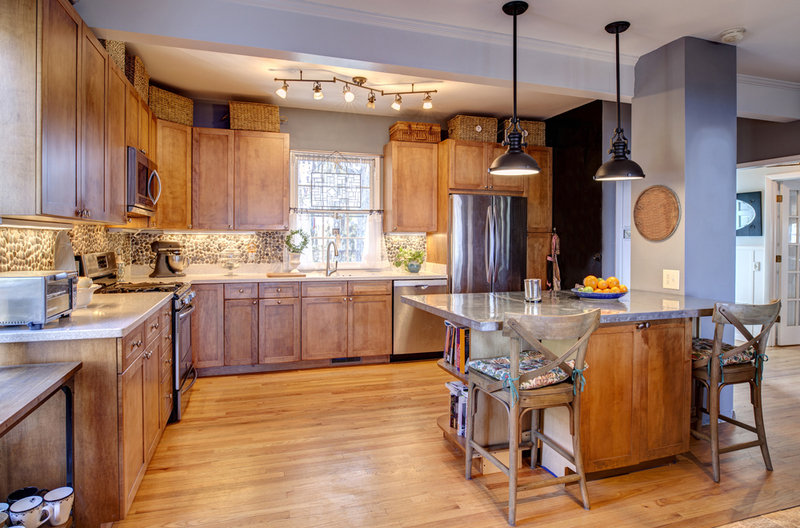 Here are some options to keep in mind while doing kitchen and bathroom remodeling. Good quality flooring is important in every room, but especially in the bathroom and kitchen. Those rooms get lots of traffic and usually deal with plenty of potential for spills. Yellowing or peeling linoleum ruins the effect of an otherwise beautiful room. It steals the show from the lovely coat of paint or well-chosen furniture. A smooth floor is perfect in any bathroom or kitchen for more durability and easier cleaning. Stone, tile and glass are some options that will improve the aesthetic value of a room and provide a lasting, durable flooring solution. Remodeling offers a unique opportunity to add features to a room, like an island or nook. Consider the features that will improve your daily life and make those a reality with a kitchen and bathroom remodeling process. Spacious kitchens that are lacking in counter space may benefit immensely. It is also a great option to provide more space for ambitious cooking projects, especially those involving multiple cooks. With a workspace that has a wider spread, there is less chance of two people bumping elbows and causing a spill or adding too much salt to a mixture. Grab bars in a bathroom improve accessibility for older people, or a household that includes someone in a wheelchair. They will also be helpful to any visiting guests with similar mobility limitations. Kitchen and bathroom remodeling offers the chance to create a home that suits your specific needs and wants perfectly. Use this process to increase the comfort and beauty of your home.